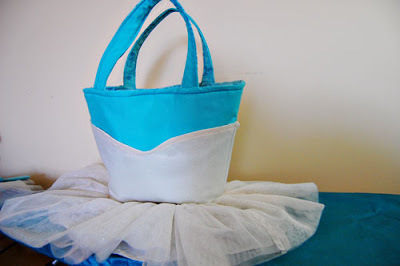 Project was inspired by a bag found on Sassi Designs: I love the look of this bag! Adorable! 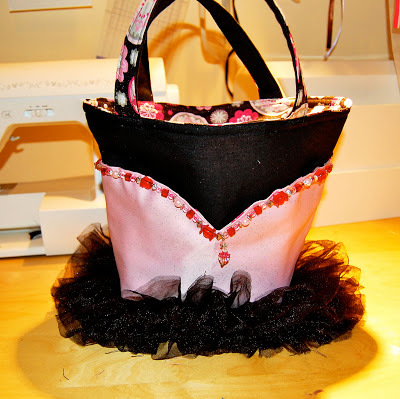 I had made several bags for myself and as gifts from patterns and decided I can make something similar and add my own preferences to it (4 pockets on the inside for tap, ballet, leotard and tights, and a pocket on the outside for the instructors notes). 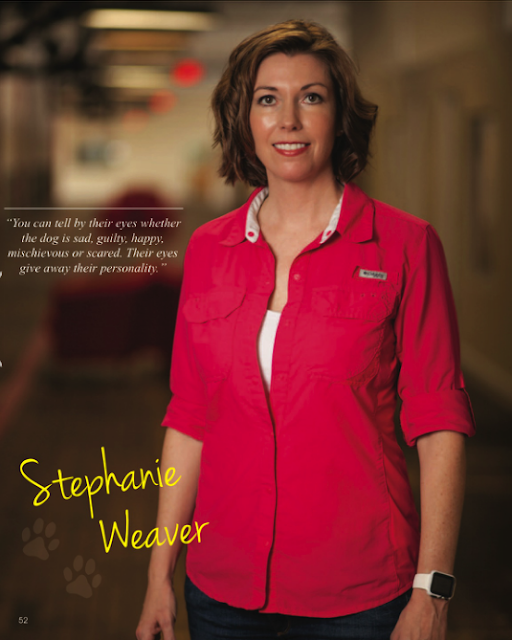 Here is the outcome. 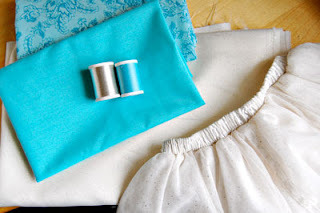 Sew about a 1/4" inseam. Iron the inside seams down so it will fold nicely together. 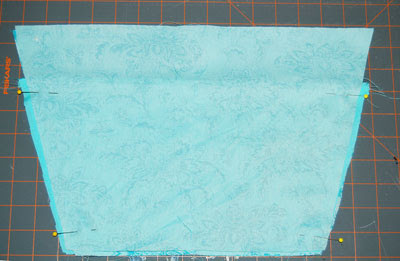 Then turn so the right sides are facing out and top stitch. 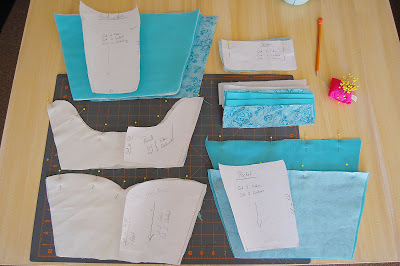 Cut slits in the bodice pieces (careful not to cut the seam) so they will fold smoothly when shown on the right side. 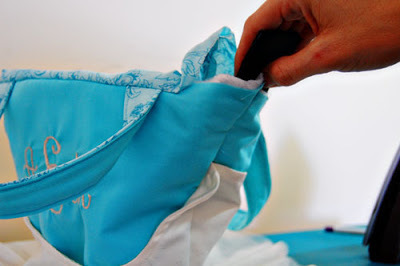 Place the Bodice on the Front and Back pieces along with the sturdy interfacing. 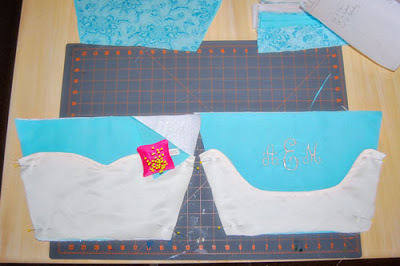 Baste the front first, then place the front and back together to align the back bodice. Once the back is aligned, pin and baste in place. Place the rights sides of the Front and Back together, pin and sew the sides. 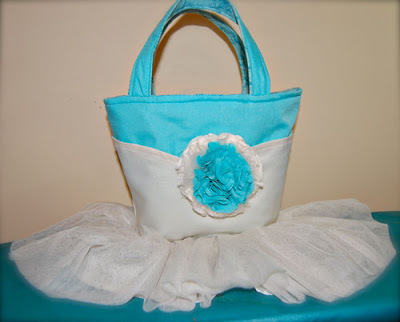 Turn the bag right side out, pin and sew the tutu to the right side. 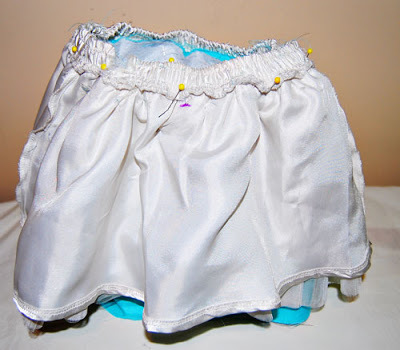 Note: This tutu I placed the waist above the seam line so I could cut off the elastic waist band once I sewed it on. Baste stitch the bottom to the sturdy interfacing. 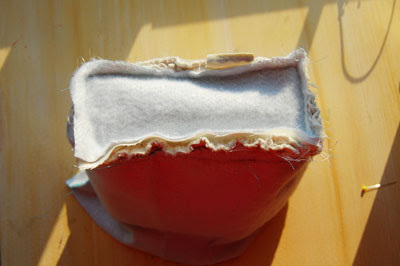 Turn the bag wrong side out, pin and sew the bottom. To help it lay flat, trim the corners. 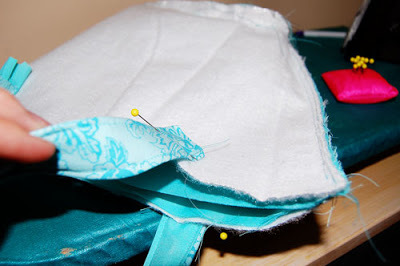 Pin the sides of the inside pockets together, then baste. 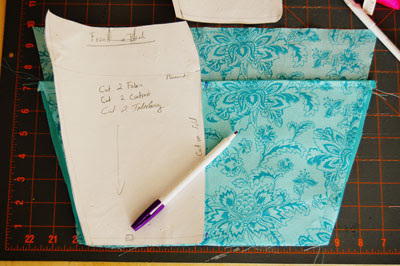 Place the Pockets on top of the Front and Back contrast fabric, right sides up and baste the sides together. 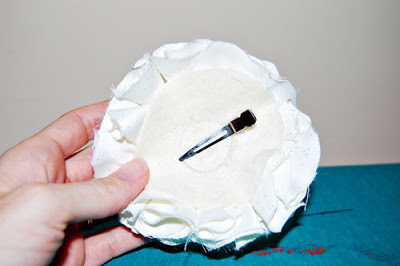 Mark the middle of the pocket with a fabric pen. Sew down the middle of each pocket. 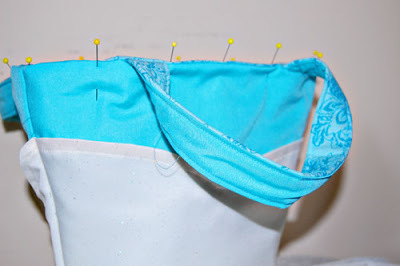 Place both the Front and Back of the contrast material right sides together, pin and sew the sides together. Pin and sew the Bottom contrast material to the bottom of the contrast fabric. Cut the corners to help it lay flat. 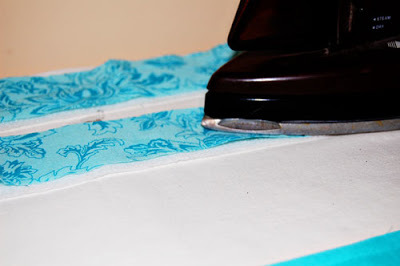 I used a much thinner interfacing for the straps that would iron on to the material. 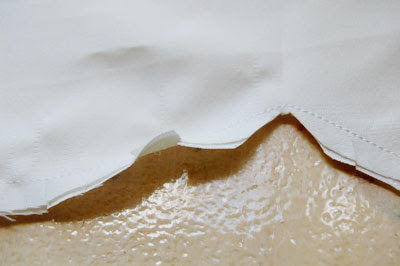 Once you've ironed on the interfacing to the contrast material. 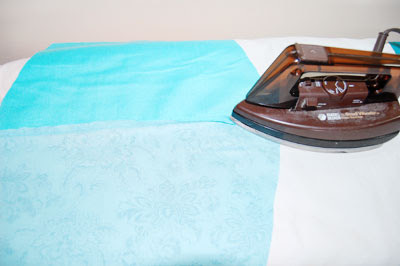 Then fold the sides of the material about a 1/4" and iron. 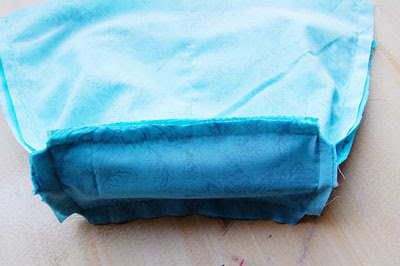 Then pin the contrast and fabric together and sew as close to the edges as you feel comfortable. 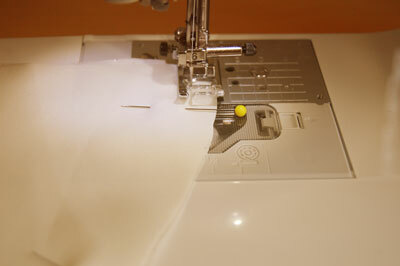 Once you have the straps sewn: pin them to the interfacing and sew to the interfacing. Now you are ready to put it together! 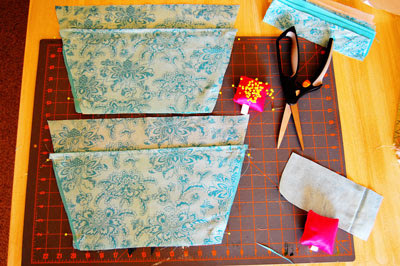 With right sides together, pin lining to bag matching seams. Stitch upper edges together. 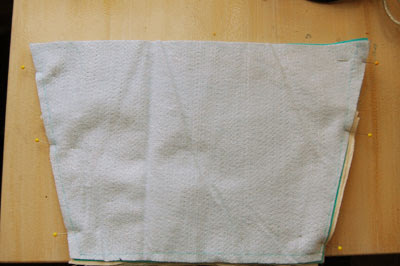 Turn right side out; iron and place a piece of heavy cardboard or plastic in the bottom of the bag. 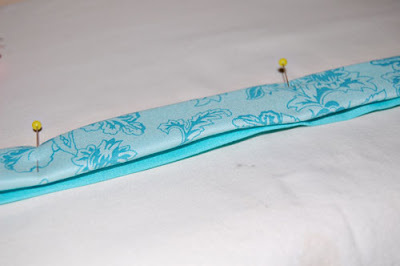 Pin the top edge all the way around and top stitch. 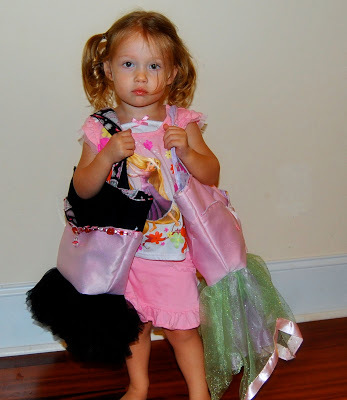 You can stop there or you can accessorize! 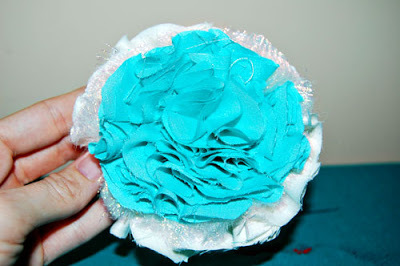 I followed a tutorial from www.makeit-loveit.com to make this accessory. 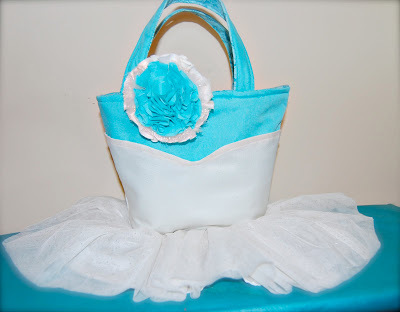 What is awesome about adding a clip hairbow - you can put it anywhere on the bag and even in the little girls hair :) - LOVE IT! Download the pattern and instructions I put together. 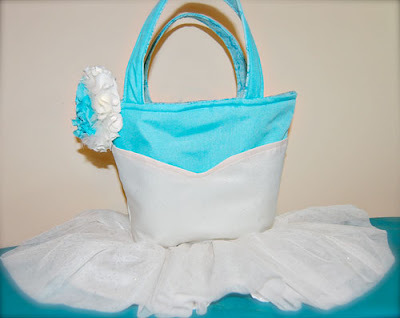 It allows for 4 pockets on the inside (to separate tap shoes, ballet shoes, tights and leotard) and a front pocket for the dance teacher to insert notes.